Bright sun, blue sky, warm breeze... Who doesn't love them? Living in Hong Kong, is very hot and humid in summertime, with frequent thunderstorms and occasional typhoons. 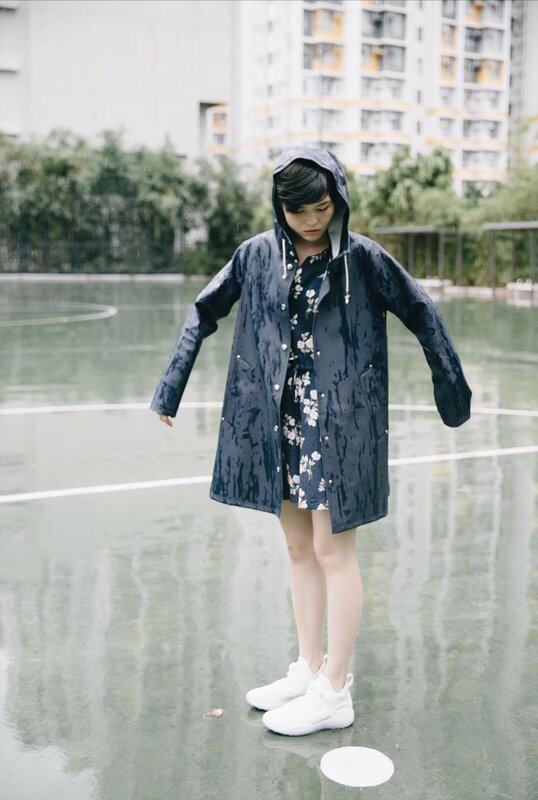 I remember when I was still in primary school, I used to wear my "Yellow Raincoat" a lot (the kind that you can even cover your big backpack) during rainy days because it was so convenient to move around! And yes, I've found this classic, stylish and practical raincoat from Stutterheim (Stockholm, Sweden) last month! I am sure I can live with it for the coming 10 years... 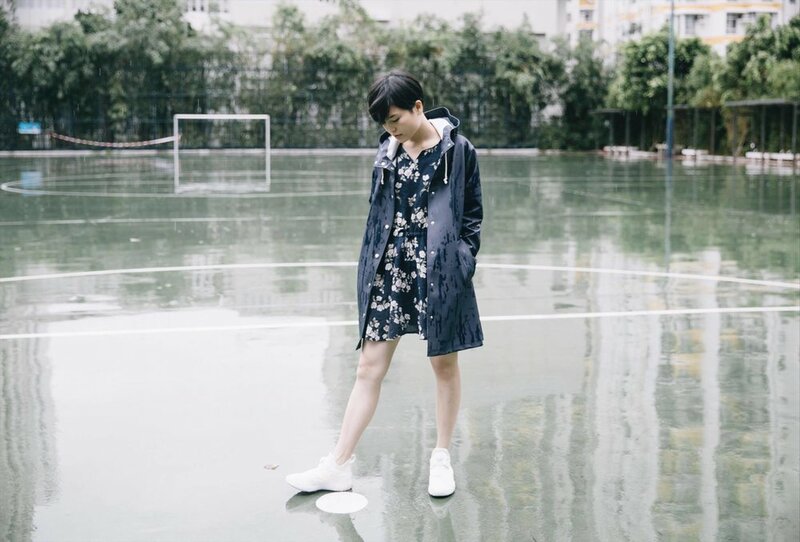 Here I styled this Navy raincoat with a daisy-printed dress from my select shop (mukmuk: wardrobe), and a pair of white sneakers from Reebok - to balance the "Boyish" raincoat and sneakers with a cute one-piece.